To conserve and manage wetland resources, it is important to inventoryand monitor wetlands and their adjacent uplands. Satellite remote sensing hasseveral advantages for monitoring wetland resources, especially for largegeographic areas. 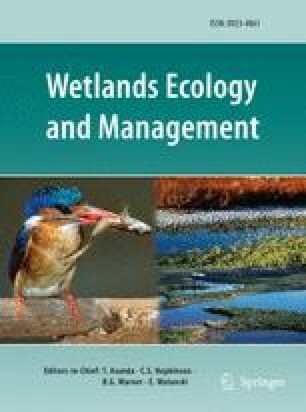 This review summarizes the literature on satellite remotesensing of wetlands, including what classification techniques were mostsuccessful in identifying wetlands and separating them from other land covertypes. All types of wetlands have been studied with satellite remote sensing.Landsat MSS, Landsat TM, and SPOT are the major satellite systems that have beenused to study wetlands; other systems are NOAA AVHRR, IRS-1B LISS-II and radarsystems, including JERS-1, ERS-1 and RADARSAT. Early work with satellite imageryused visual interpretation for classification. The most commonly used computerclassification method to map wetlands is unsupervised classification orclustering. Maximum likelihood is the most common supervised classificationmethod. Wetland classification is difficult because of spectral confusion withother landcover classes and among different types of wetlands. However,multi-temporal data usually improves the classification of wetlands, as doesancillary data such as soil data, elevation or topography data. Classifiedsatellite imagery and maps derived from aerial photography have been comparedwith the conclusion that they offer different but complimentary information.Change detection studies have taken advantage of the repeat coverage andarchival data available with satellite remote sensing. Detailed wetland maps canbe updated using satellite imagery. Given the spatial resolution of satelliteremote sensing systems, fuzzy classification, subpixel classification, spectralmixture analysis, and mixtures estimation may provide more detailed informationon wetlands. A layered, hybrid or rule-based approach may give better resultsthan more traditional methods. The combination of radar and optical data providethe most promise for improving wetland classification.